I know I read some last month, but in general I haven't read a lot of poetry this year. For whatever reason, I find myself being drawn to memoirs and fiction a little more. Still, poetry is very important to me, and reading it helps me write it. I also figured that reading a book of poetry would be a fairly easy way to get used to reading for fun while in college. I picked up this book because I liked the title, but the inside pages didn’t live up to my expectations. The writing felt very adolescent, and that is something I was trying to get away from when it comes to poetry. Still, there are pieces of this book that I did like, and there are some lines that went underlined. I recommend this book if: You're just getting into poetry and want some prose scattered throughout to balance things. 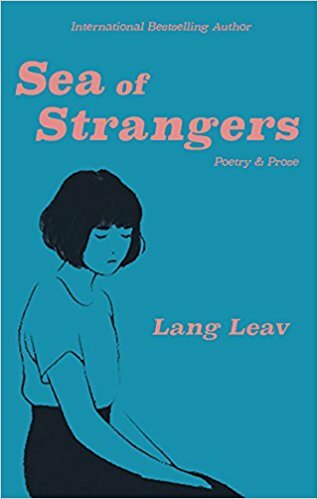 I don't recommend this book if: You want to read about love, but you don't want the prose or one sentence poems. Instead, try reading something by Pablo Neruda. He's one of my favorites. For my week of orientation I was part of a book club, and this was the book that was chosen. I got the audio book, and started it the Thursday before I left (I know, I know). I listened to it while I finished packing, while loading up the car, the morning before I left, and on the drive up to Washington. I finished it in my dorm room just in time for the first meeting on Tuesday. This book is intense at it’s best and heartbreaking at it’s worst. It was written by a lawyer who’s entire job is getting innocent people off death row, so you can imagine what I mean when I say it’s intense. There is one story that flows throughout the book with other stories dotted here and there, and it is all wrapped up really well. I would definitely, definitely, definitely recommend this book. 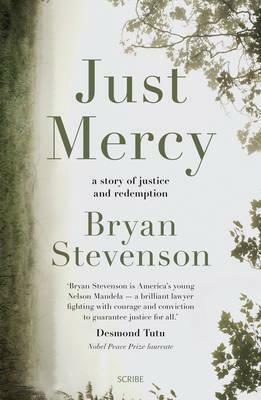 I’d recommend this book if: You’re angry with the criminal justice system and want someone to show the light that can shine through the darkness. I wouldn’t recommend this book if: topics relating to racial tension, domestic violence, mental health, or sexual harassment/abuse are triggering for you. This month I tried to soak up as much of California as possible before heading off to college. The first day of the month saw me up near my grandparents house on a hike I've only done a few times, but always enjoy. I also realized again how awkward I can be when it comes to taking pictures, but that's okay because we're working on it. My grandmother's birthday is right at the beginning of September, and it happened to be a really beautiful, not too hot day. We went hiking by Folsom Lake, and got to go out to some of the "islands" that are usually covered by water. The "lake" is actually a dam, and some of the water had been drained recently, and the little strip of land that connects the islands wasn't under water like it usually is. We walked around and took pictures on the rocks, and hopefully made some good memories for my Grandmom on her birthday. Towards the end of my orientation week, the nearby, student-run coffee house (literally, it’s an old house turned into a coffee place) opened up again and had an open mic. I brought my poetry notebook with me just in case I decided to do something, and, sure enough, I wound up reading this poem up front. I was nervous, especially since I’d never read a poem in front of that many people before, but I’m really glad I did it, and hopefully I’ll do more in the future. Whoops… It was a really nice place, though! On the first day of Fall, I went into downtown with the other two people who came from my high school. We found a coffeeshop and I ordered a chai to celebrate the beginning of one of my favorite seasons. That whole day was good for my soul, and this coffee shop was the perfect place for it all to come together. September was definitely a month of change- some good, and some not so good. This month I started college which brought so much new along with it. This month was certainly an adjustment period, and while that can be really uncomfortable it’s important (and necessary) for the beauty to follow. Yesterday I was rereading Letters to a Young Poet (which I first read back in August of last year) and came across this quote: "Therefore... love your solitude and bear with sweet sounding lamentation the suffering it causes you. For those who are near you are far, you say, and that shows it is beginning to grow wide around you… Your solitude will be a hold and home for you even amid very unfamiliar conditions and fro there you will find all your ways.” (Rainer Maria Rilke) As I go into October (my favorite month of the year), I’m going to try to remember that quote, and if it helps you at all I hope you will too.